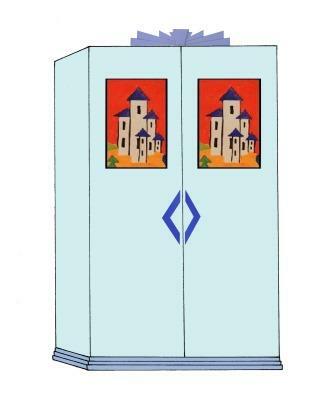 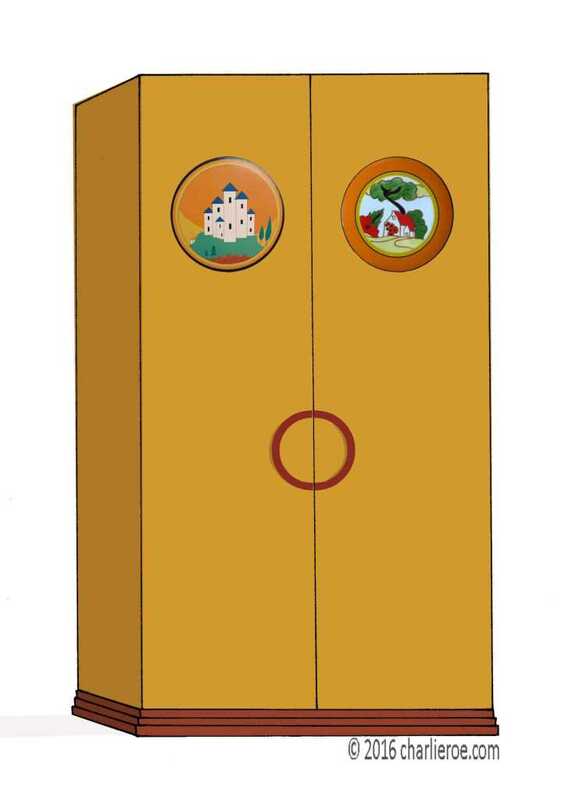 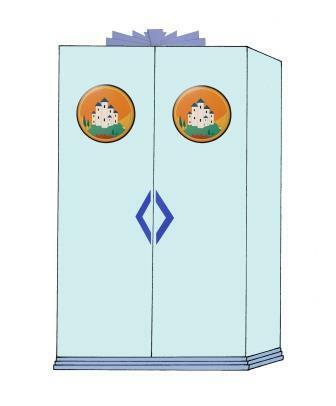 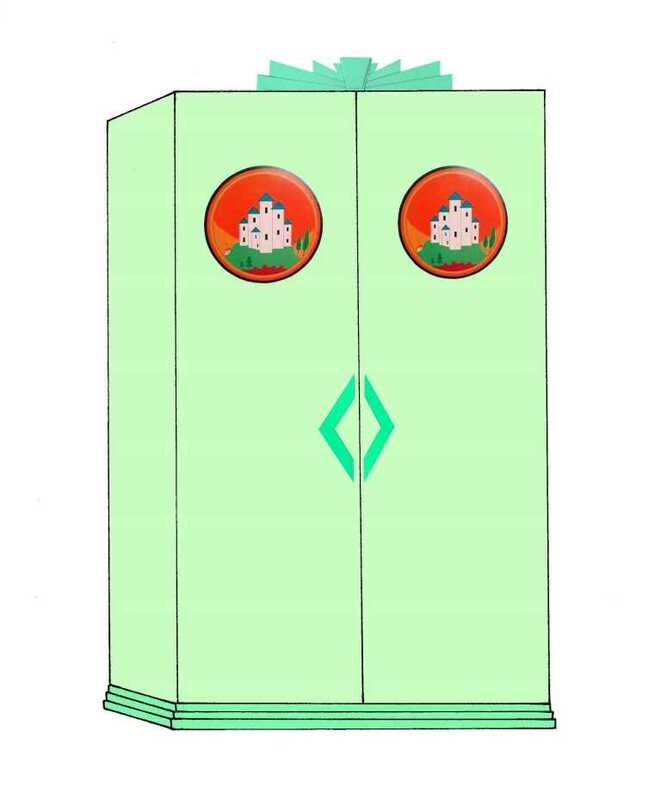 The following designs show many ideas for new Clarice Cliff style wardrobes, in a range of style & colours. They're shown with a Deco style stepped plinth, one of our ornate jazzy style Art Deco cornice mouldings, & Cubist style door handles (although you could have any handles you prefer). 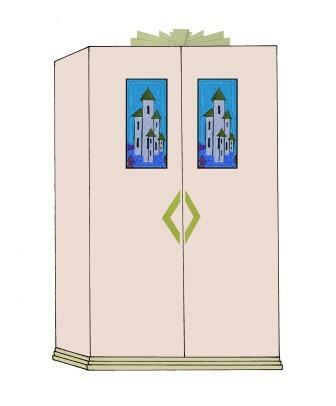 This wardrobe design was a variation of another of our designs, this time replacing the panels with Clarice cliff designs. 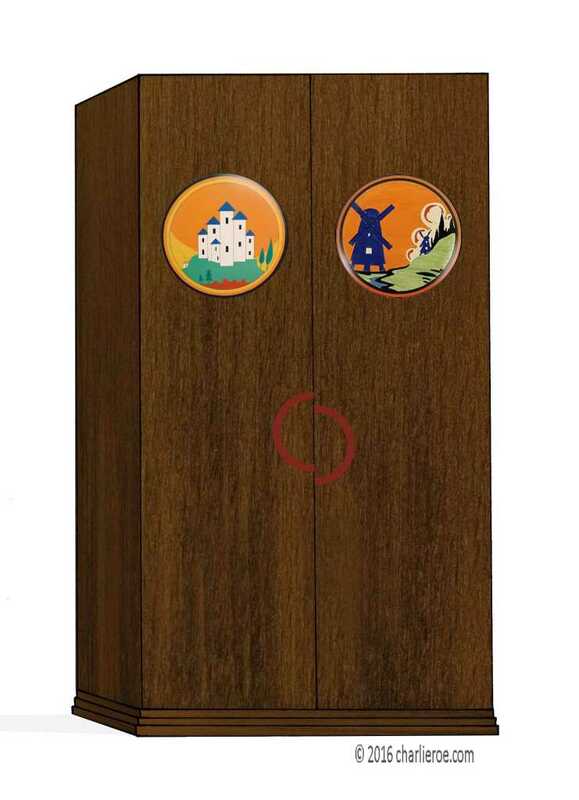 It's a simple idea but makes for a decorative eye catching design. 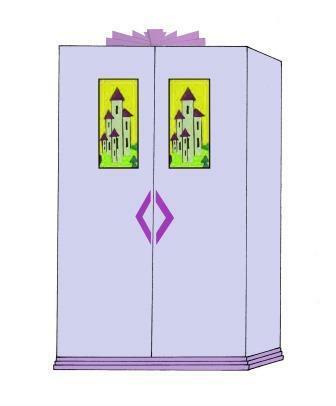 The robe itself can be painted any colour you like, and the colour panels can be changed as well. We'll probably add a few more Clarice designs here over time. The interior can be fitted out as you like. You could extend the run of robes to several doors wide, & have them built-in. Made to order.